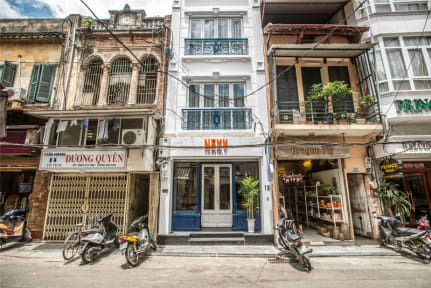 Nexy Hostel is conveniently located in the heart of the Old Quarter in Hanoi. Only minutes walk away from attractions such as Hoan Kiem Lake, the Ho Chi Minh Complex, Bia Hoi corner, Night Market and many local spots to eat, our location is just awesome. We have a bar and cafe with great happy hour deals everyday. We also have cosy hangout areas such as a games room, TV room with beanbags, library with free computers and a rooftop. You can easily chill out and make new friends here. Choose from a great selection of rooms, from dorms to private rooms with super comfortable beds. Each of our beds are specifically designed to cater for the needs of the modern traveler. Our beds are fully equipped with their own privacy curtain, electric sockets, reading lamp and complimentary lockers. Guests love our 14 bed mixed dorm. It's our most popular room and never feels like there are 14 people. To get the most out of your stay speak to our travel experts and we will help you plan your stay that will take you to all the hidden treasures this incredible country of Vietnam has to offer. 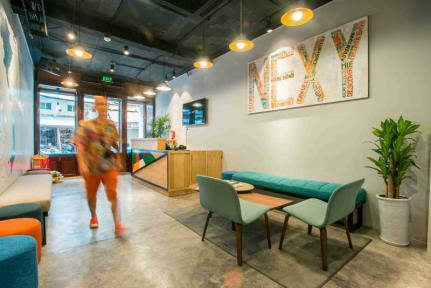 We look forward to giving you a warm welcome at Nexy Hostel in the near future. Super hostel mit top lage und sehr freundlichem personal. What can I say? Awesome Staff, great atmosphere, rooms are very nice beds super comfortable. Amazing location in the old Town. I loved this hostel, especially the staff is amazing. The beds are clean and comfy and the curtains made it feel as if you had your own private room. The bathrooms get dirty and the breakfast is only okay, but I guess that’s normal for a hostel. Die Zimmer waren sehr feucht, daher sind wir nach einer Nacht umgezogen. Nice and comfortable stay with very helpful and motivated staff. Short but good breakfast. Located super central in old quarter for getting everywhere very easy. Für Asien ein relativ hoher Preis aber ein solides Hostel. Für jemanden der in Hanoi ankommt, aufjedenfall eine sichere Basis um von dort aus die Stadt zu erkunden. Wir haben nette Leute kennengelernt und durch das Personal eine menge erfahren können. Busse und touren sind ebenfalls buchbar an der Rezeption. War in allem super. Nur die Sauberkeit in den Bädern kam etwas zu kurz. Trotzdem hat man sich super wohl gefühlt. Personal war mehr als top! !